Video content allows you to humanize your brand and set yourself apart from the competition, but once you've invested in a corporate video for your brand, it can be challenging to get customers and leads to watch it. 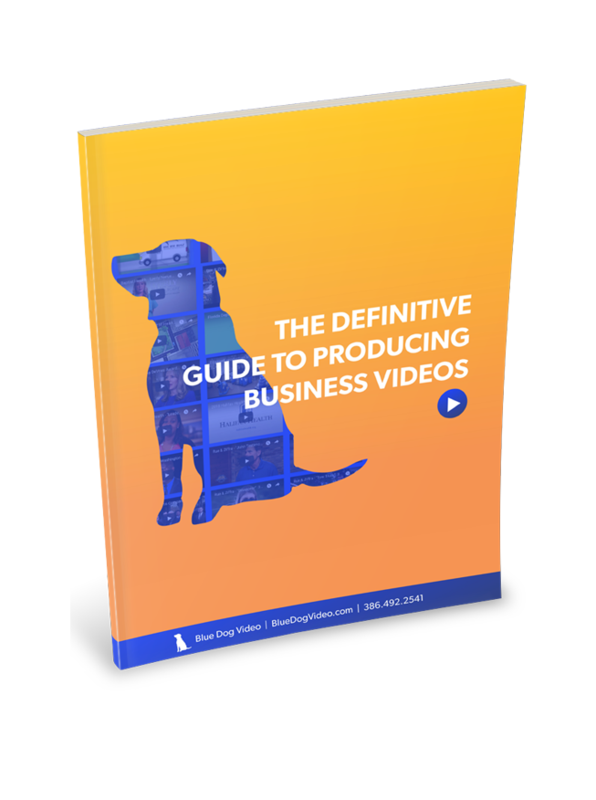 Below, we've put together just some of the ways you can encourage people to watch your business videos, and take your brand to the next level. 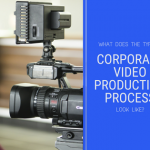 If you've created an impressive corporate video for your business and want to show it to as many people as possible, then one option would be to embed it into your website and autoplay it for new visitors. This technique works particularly effectively for businesses looking to generate leads through landing pages, as video content is more likely to attract attention and encourage engagement from users. Experiment with auto-playing video on your site - even if the video plays without sound - to see how your users react to the change. The results might surprise you. However, it’s important to mention that browsers such as Chrome are planning an update to disable audio on autoplay videos, so optimising your video and creating a large, easy-to-click audio button is essential if you want autoplay videos to be part of your marketing strategy. 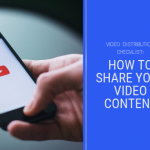 While video content has exploded in popularity in recent years, it's still written blog posts that drive the majority of free, organic traffic to your website. Incorporating video marketing and content marketing can lead to some significant benefits, not least getting more people to watch your videos and interact with your brand on a deeper, multi-channel level. There are a wide number of benefits to content marketing, including the ability to position your business as an authority figure in your niche, to drive more traffic to your website, to encourage users to keep coming back to your website and to set you apart from the competition. However, with so many blog posts published every day (recent data suggests at least 2 million blog posts go live every 24 hours) you have to work harder than ever to stand out and make an impression. Bloggers and content marketers have been experimenting with different content formats for a number of years, creating infographics to complement their content, adding in GIFs and images, and also incorporating third-party video content to make their blog posts more interactive. But using your own video as part of a content marketing strategy can offer wider benefits. Not only does video enable your business to reach more people, but it allows to you explain the points you raise in your articles in more detail, gives you an opportunity to visualise complex terms and techniques, and it helps your content stand out from the rest. Not every business has a budget to create awesome video content for their blog posts; so yours develops a USP. If you don’t create your videos using a script, then transcribing can be hard work. Sitting through a twenty-minute video and typing out every word and utterance might sound like an hour’s job, but it can actually take a whole lot longer - especially if you want to expand on points and add links to further reading. But transcriptions can offer some serious value to your business. According to 3Play Media, YouTube videos with captions and transcripts had 13.48% more views in the first two weeks and 7.32% more lifetime views, which could be a huge additional audience depending on your niche and video view count. Whether you like the idea of it or not, there's no getting away from the fact that transcriptions are an essential part of video marketing. Accessibility: Making your videos as accessible as possible allows your content to be consumed by those who are deaf or hard of hearing, broadening your audience. SEO and visibility: Optimizing your video content through transcriptions will increase your search engine optimization and visibility on sites like Google and YouTube. User experience: Not all users want to follow your video and make notes. Writing out a transcript reduces the effort users have to make to take action on your video content. Translations: Written content is easier to translate into other languages, whether you do this yourself or you pay for a translation service. Videos with transcripts and captions in multiple languages will further increase your audience and reach. Video content on social media has exploded in popularity in recent years. According to SmallBizTrends, video will account for 80% of all global consumer internet traffic by 2019, while Facebook claims its videos are viewed more than 8 billion times a day. Simply put, video is big business, and today's consumers want to access their favourite content through video. Another valuable statistic to mention is that video content has a 135% greater organic reach than photo posts, showing just how engaging and sticky video on social media can be. If you want to get more people to see your adverts, explainers and other video content, then schedule them to be posted out on social media at varying times of the day. If you run a coffee shop and you've created recipe videos, for example, then you could post them every morning as people get ready for work and school. This will increase engagement, up video views and put your brand at the forefront of consumers minds when they're looking for coffee around town. Unless you’re doing it alone and creating your own video, investing in a video marketing campaign can be expensive. Because of this, you need to make sure you get the best return on investment and encourage as many people as possible to watch your material. Experiment with the techniques we have mentioned in this post, and you’ll soon find success.